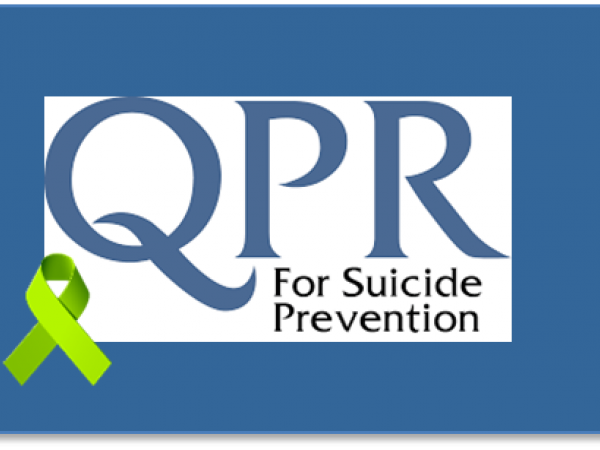 On October 19, all ninth graders in the West Chester Area School District were trained on the suicide prevention program called QPR (Question, Persuade, Refer). Designed much like CPR or the Heimlich Maneuver, QPR is a nationally acclaimed program that teaches participants how to recognize warning signs of a suicidal crisis and how they can help. Students at Henderson, West Chester East and Bayard Rustin High Schools participated in the QPR training while other grades were taking standardized tests. Volunteers and community stakeholders paired up to deliver the program. Students learned basic steps to take when they are concerned about someone. They also learned that asking someone about suicide will not put the idea in his/her head and that talking about it may save lives. Suicide is a national public health concern that has been on the rise for more than a decade. It is the 10th leading cause of death in the United States, with more Americans dying by suicide than dying in car accidents. More than 117 people die each day from suicide in the US. Young people, who may be more impulsive and have less life experience, are at particular risk with suicide being the second leading cause of death in the 15-24 age group. The Chester County Suicide Prevention Task Force (CCSP) collaborated with the West Chester Area School District to deliver the program. Other local groups, including Chester County’s Departments of Human Services and Mental Health Intellectual and Developmental Disabiilities, as well as the Chester County Intermediate Unit, the county Youth Center, Coatesville VA Medical Center, Brandywine Hospital and Valley Creek Crisis Intervention Center took part in the effort. QPR has been extensively researched and proven effective. Instructors must be certified by the QPR Institute and abide by the program requirements. CCSP offers QPR training to the Chester County community at no cost. To find out more, email ccsptaskforce@gmail.com.